Tollway authorities are feeling the pressure to do more with less - cut losses and expenses while stretching budget dollars. Tollway systems are a crucial source of revenue for many states, and every year millions of dollars are lost to unpaid tolls. 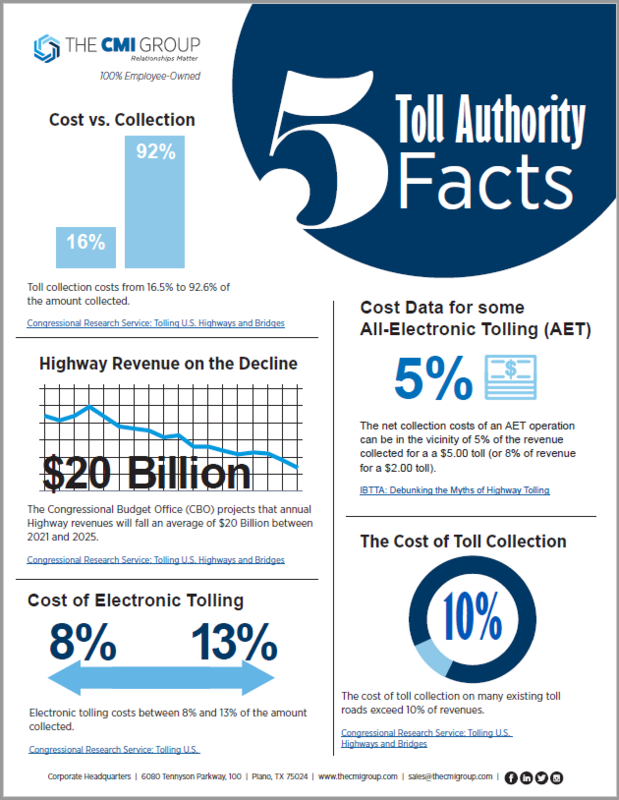 Download the free infographic to see the Five Key Toll Authority Facts! © 1985-2018 The CMI Group, all rights reserved.